More than 160 Google Tag Manager definitions in a single e-book to help you avoid confusion in the future. Whether you’re looking to understand the language of GTM or help train someone else, this Google Tag Manager Dictionary should be your best companion. It should not only make you smarter, but it should help you be more eloquent when speaking about GTM. This Google Tag Manager dictionary your go-to guide for all things GTM, and all the important elements you’ll find in your account. This E-Dictionary is Free. No Strings Attached. 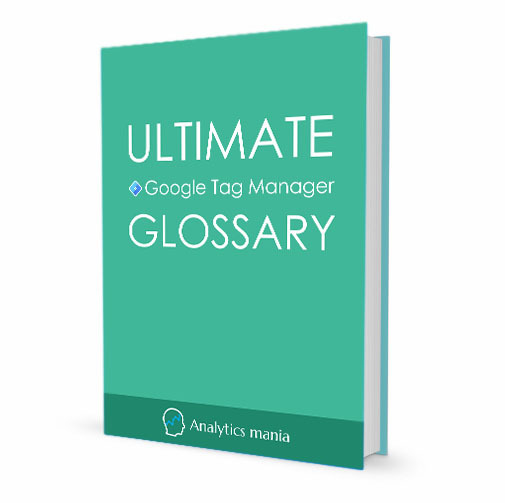 Just enter your email address below, subscribe to Analytics Mania newsletter, and get the Google Tag Manager dictionary (38-page PDF) straight to your inbox. 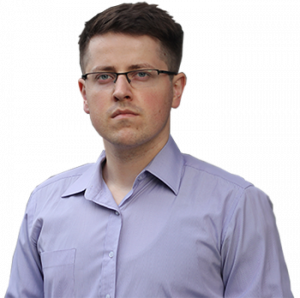 If you’ve already subscribed to Analytics Mania newsletter, you’ll find the Download link in every newsletter I send. Click the button below and download the preview of the Google Tag Manager Dictionary. You’ll get a short glimpse of what’s is waiting for you. The full dictionary contains more than 160 terms, including types of tags, triggers, variables, default and custom auto-event listeners, account structure, etc. Everything from A to Z.